Cunard has announced its majestic flagship Queen Mary 2 will sail on two historic cruises from Sydney and Melbourne in 2017, giving Australians an opportunity to experience the liner’s legendary style as she makes her maiden visits to Tasmania and South Australia’s Kangaroo Island. 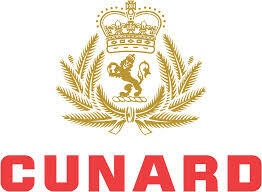 Releasing details of its latest world voyage program, Cunard revealed that Queen Victoria will also make history in 2017, claiming the title of the largest ship ever to sail on the mighty Amazon River, with a five-night cruise on the famous waterway as part of her global circumnavigation. Cunard’s trio of Queens will all visit Australia during their 2017 world cruises, with Queen Mary 2 set to embark on two regional jaunts in Australian waters. Sailing on her first ever roundtrip cruise from Melbourne on February 18, 2017, Queen Mary 2 will make her inaugural call to Kangaroo Island on February 20 before returning to the Victorian capital. Fares for the four-day cruise start from $1169* per person double occupancy. The 151,400-tonne liner will also offer a special five-night roundtrip cruise from Sydney to Tasmania, departing February 25, 2017 and featuring her inaugural calls to Port Arthur on February 27 and Hobart on February 28, with fares from $1469* per person double occupancy. The two cruises are part of a 118-night world voyage which will include Queen Mary 2’s maiden call to Busselton in Western Australia on February 13, 2017, with guests able to explore the famous Margaret River wine region. As she sails the world’s oceans, calling at 38 ports in 22 countries, Queen Mary 2 will undertake a 14-night roundtrip cruise from Hong Kong visiting Taiwan, China, South Korea and Japan, as well as a seven-night roundtrip cruise from Shanghai visiting Korea and Japan. Meanwhile, Queen Victoria will make a splash in New Zealand during her 2017 world tour with a special voyage from Auckland to Wellington taking in Australia’s east coast and New Zealand’s South Island. Departing Auckland on March 6, 2017, the cruise will visit the Bay of Islands and overnight in Sydney before sailing to Melbourne. After crossing the Tasman, Queen Victoria will cruise the picturesque waters of Fiordland National Park then call at Dunedin and Akaroa before reaching Wellington. Fares on the 13-night cruise start from $3819* per person double occupancy. The New Zealand loop will be a feature of Queen Victoria’s 120-night round world voyage, which will also see her spend five days cruising South America’s famous Amazon River and making maiden visits to Manaus and Santarem in Brazil. The ship’s 64-night cruise from Southampton to Sydney via South America is priced from $17,429* per person double occupancy. Queen Elizabeth will also be making history on her world voyage with a maiden call to Papua New Guinea as part of her 120-night circumnavigation. The gracious 2000-guest liner will visit the beautiful waters of Alotau in Papua New Guinea on her way north to Japan from Sydney. For the first time, Cunard’s world voyage program also includes a complimentary flight credit for guests who book a sailing from Southampton and New York to any Australia or New Zealand port. Under the new offer, guests who book an inside, ocean view of balcony stateroom will enjoy a complimentary one-way economy flight while passengers who book a Princess Grill or Queens Grill suite will enjoy a complimentary one-way business class flight.